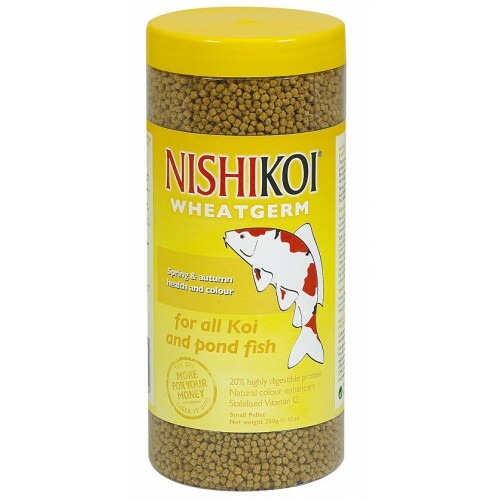 A low protein, low waste wheat-germ pond food, fortified with vitamins and minerals to promote the well-being of your koi. The vegetable-based pellets are foil-sealed for freshness and contain beneficial proteins and essential fatty acids for health and vitality. There are currently no questions for Nishikoi Wheatgerm Fish Food - be the first to ask one!